Here's one of the cards that I took with me to swap at Stampin' Up! 's annual convention. 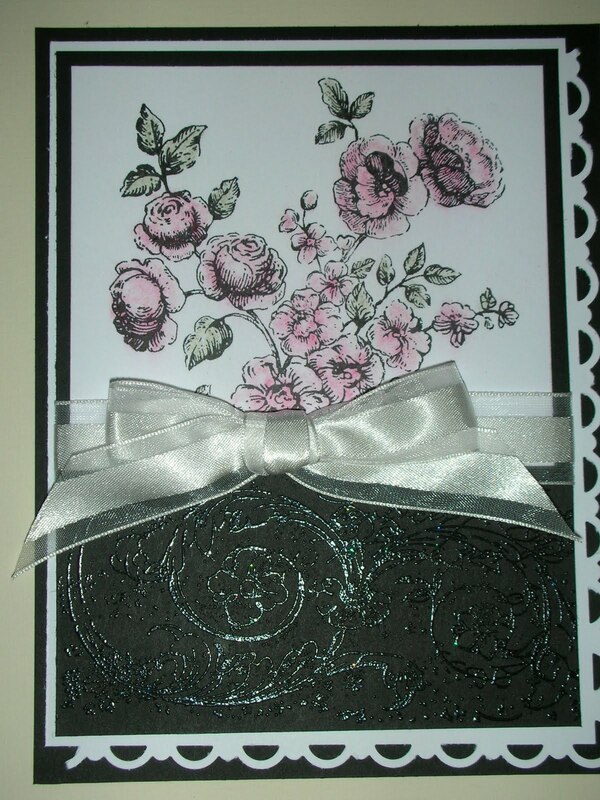 The card is made using the Very Vintage jumbo wheel and the Elements of Style stamp set. These cards went fast. I had several other styles of cards but this one "sold out" on the first day. Over the next week or so, I will post some of my favorite cards that I received from others. Perhaps they will inspire you to break out your stamps as they have inspired me. Back From Stampin' Up! Convention!